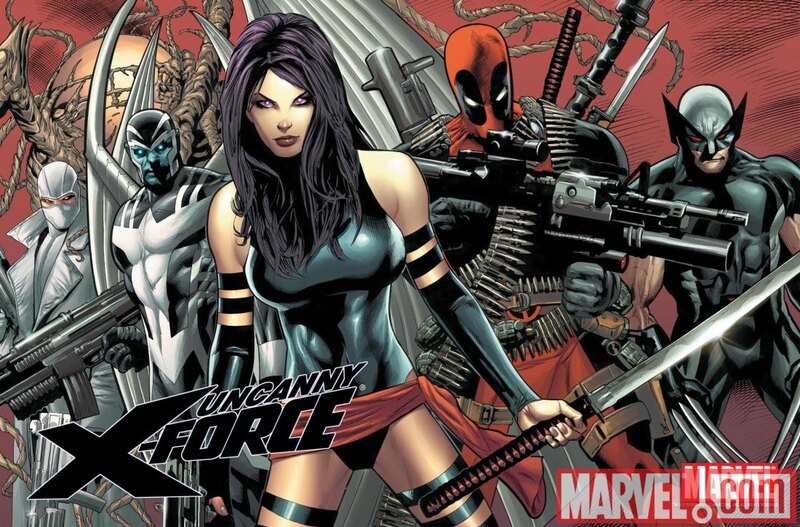 CBR has posted an interview with Uncanny X-Force writer Rick Remender where he discusses the new series. In the interview he discusses Deadpool's role in the team. ... "The way I'm using Deadpool in the first arc is that he's the guy in the field. He's doing the detective work trying to uncover the next big threat. Warren's thinking is that, on one hand, he's got the right man on the job. On the other, it keeps Deadpool off the streets and out of trouble." ... "I think that a lot of the lunacy of the character, which is a real joy to write, is born of what most humor is, and that's a need for acceptance. I know some other writers may disagree with that, but I think anybody, if they're insane or not, who is constantly riffing and constantly making jokes has a very visible need for acceptance. We all have that, on some level,it's not necessarily a negative attribute. It's just a very prominent one in Deadpool, and his dynamic within this team is one of acceptance. Deadpool was never officially a weapon in the Weapon Plus program. He was a reject. He was never officially an X-Man, but he's officially part of the 'Uncanny X-Force.' This is Logan and Warren's X-Men team. Deadpool has been brought in and made part of this family. I think that really opens up the character for an exploration of humanity. That's the stuff I like to write."